For a Filipino man visiting Tokyo in May last year, the tour of the capital was supposed to be a fun sightseeing trip. But the man collapsed after suffering a cerebral hemorrhage and was rushed to NTT Medical Center Tokyo in Shinagawa Ward for an emergency operation. Fortunately, the surgery saved his life. But the trouble didn’t stop there. As a tourist, his medical costs were not covered by Japan’s national health insurance system, pushing his medical bills to an eye-popping ¥5.4 million. The Filipino man, whose name is being withheld to protect his privacy, could not immediately pay the bill, which prompted the Philippine Embassy in Tokyo to temporarily cover part of the expenses. The case is just one of many that hospitals across the nation are seeing amid the tourism boom. Tourists have more than quadrupled from 6.79 million in 2009 to 28.69 million in 2017, partly thanks to the easing of visa conditions for visitors from China, Thailand, Malaysia, India, the Philippines, Vietnam, Indonesia and Brazil, according to the Japan Tourism Agency. The government aims to boost that figure to 40 million by 2020 and 60 million by 2030, or three times the level in 2015. But the growing influx is likely to put a greater strain on Japan’s hospitals as many patients from overseas arrive without insurance, experts say. 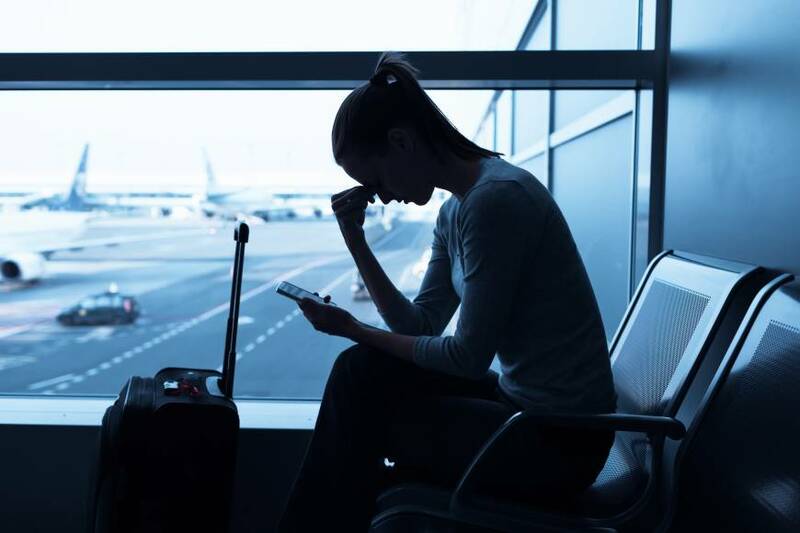 According to a questionnaire the tourism agency conducted at three major airports from December to January, 27 percent of the 3,383 non-Japanese surveyed were not covered by health insurance during their stay in Japan. The survey also found that 6 percent of the respondents actually got sick or injured, of which just over a quarter felt the need to visit a hospital, representing 1.5 percent of the total. “If foreign patients keep increasing at this rate, it will cause a big problem in 2020,” when tourism is expected to peak for the Olympics, Ebihara warned. Ebihara emphasized, however, that the vast majority of the patients will likely only need treatment for minor sicknesses or injuries and have no problem covering their medical costs. But the government should promote campaigns urging tourists to purchase travel insurance to guard against the possibility of encountering serious health problems in Japan, he said. The problem is not limited to cost. Communication is also a hurdle, both at hospitals and especially small clinics. While some facilities can conduct treatment in foreign languages, many can only do so in English or Chinese. Further complicating matters, differences in customs can lead to misunderstandings as well. For example, in Japan medical expenses for each patient are kept relatively low thanks to the country’s universal health insurance system. Thus doctors usually treat patients without explaining what costs to expect, with the bills generally presented once treatment is complete. But in many other countries, including China, doctors treat patients only if they agree to pay the estimated cost, said Serina Okamura, an associate professor at the International University of Health and Welfare in Tokyo. 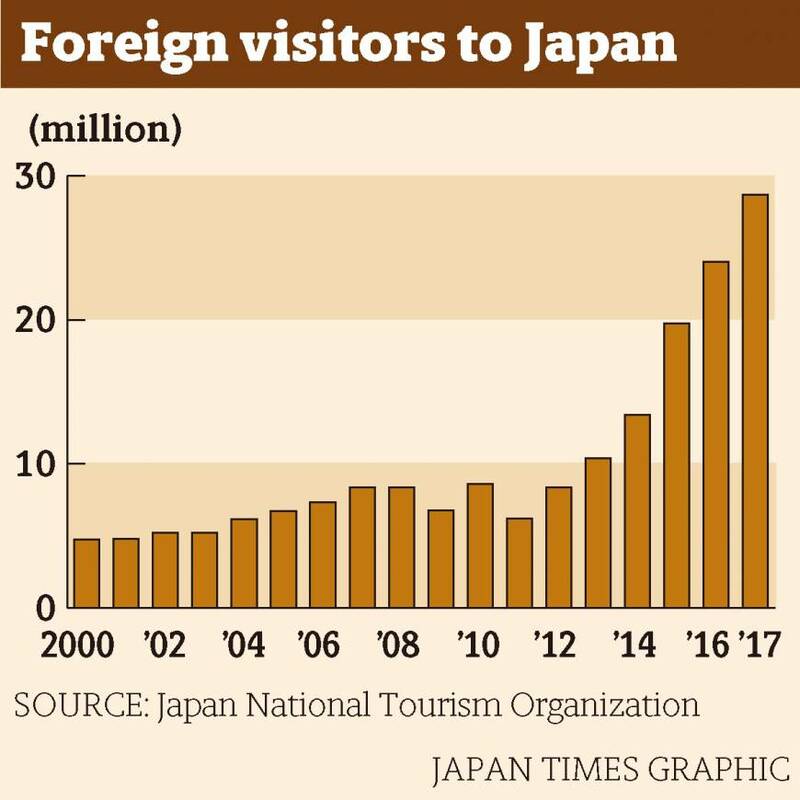 Despite challenges like these, Japan remains eager to attract visitors because politicians and businesses regard tourism as essential to propping up Japan’s feeble economy. “Japan has quickly opened its doors and undergone processes to promote tourism over the past four or five years, although other countries would take more than 10 years to undergo similar steps,” said Hanako Jimi, a pediatrician and Upper House politician from the ruling Liberal Democratic Party. “It will definitely become an industrial pillar to support Japan. The medical industry should take steps to support that movement,” said Jimi, who is backed by a nationwide doctors association. 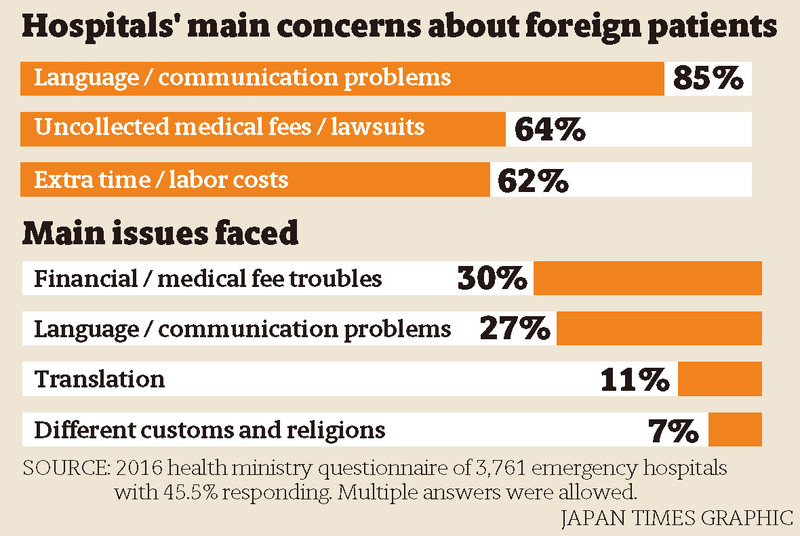 The Japan Medical Association is set to bring together doctors representing Japan’s 47 prefectures and officials from related ministries and agencies for a meeting in July to address issues involving foreigners in Japan. It also plans to set up a panel this autumn to compile specific measures. When Jimi went to Okinawa Prefecture in January to discuss tourism-related medical issues, she found that Nanbu Iryo Center, a hospital in Haebaru, treats five to six foreign patients during the nighttime hours each day, and puts about one per month in the intensive care unit. Okinawa is a popular tourism draw: A record-high 2.69 million tourists visited last fiscal year, with most from Taiwan, South Korea, China and Hong Kong. “If you stay in an ICU, it costs around ¥10 million a month. In such a case, hospitals can face problems” with payment when patients don’t have insurance, Jimi said. As foreign patients tend to require more time to treat due to the language barrier and other factors, Okinawa’s hospitals are barely getting by at current staffing levels, she said. But if tourism doubles by 2020 as envisioned by the central government, “it would definitely exceed their capacity,” Jimi added. Stop allowing foreign visitors who have a record of failing to pay high-value expenses for treatment received at hospitals in Japan from re-entering the country. Help hospitals make use of multilingual translation services. Publicize more information about hospitals with multilingual support. Distribute tablet computers that can translate words and phrases to ease communication with foreign patients. Establish guidelines for calculating fees for foreign patients not covered by insurance. Train medical translators and coordinators who are familiar with the customs and insurance systems of other countries. Urge the government to launch campaigns to encourage foreign tourists to buy travel insurance in advance. Many of her fellow lawmakers were well aware of the importance of addressing the topic and were cooperative in compiling the proposals, Jimi said. Some of the proposals, such as the translation services and medical coordinators, would no doubt be helpful for non-Japanese residents of Japan as well, Jimi pointed out. So if Japan were to accept more foreign workers to offset its shrinking workforce, these measures will be very handy, she said. “Those measures will make (trips to Japan) more comfortable for tourists, and at the same time help Japan adapt to its changing social environment,” Jimi said.